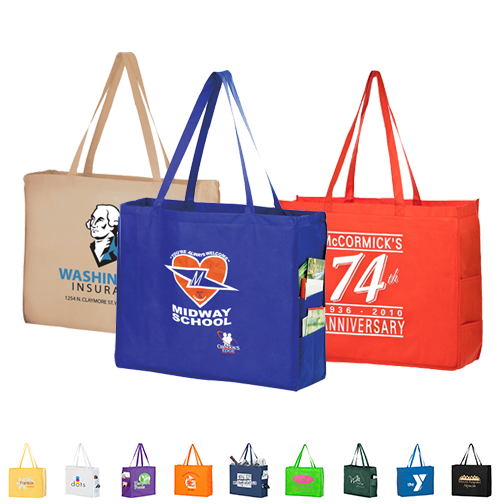 Be at the forefront of trends by marketing your company with a reusable bag. 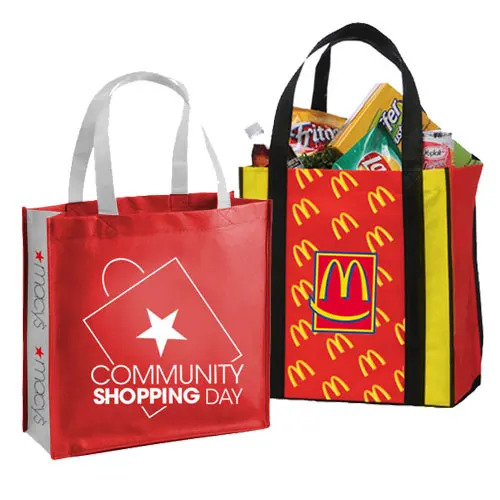 Factory Direct Promos is the leader of customized reusable shopping bags that will get your brand noticed. Our eco-friendly celebration bag features a large main compartment which is great for carrying books to class or lugging work between your home and office. You can comfortably sling the straps on your shoulder for hands-free use. 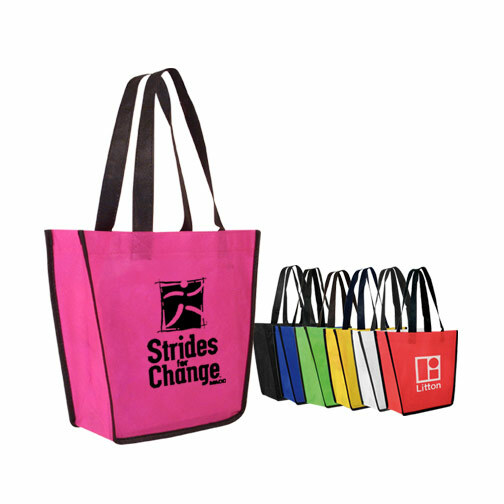 Customize this recycled and reusable bag with your company’s logo or a specific branding message. 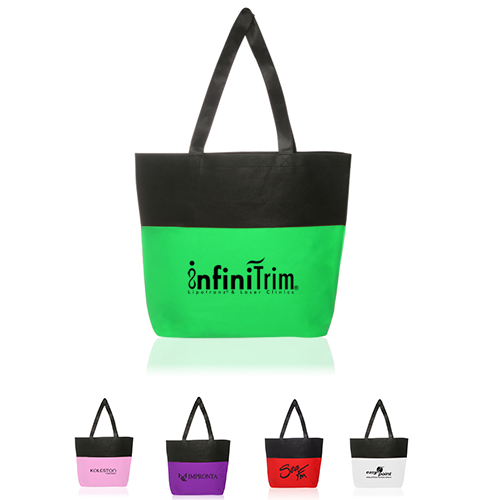 Choose from our large selection of bag and imprint colors or take things to the next level and check out our overseas production. We can help you design your own bag from the inside out. Select from colors, materials, patterns, and add-ons for a quality bag at an amazing wholesale price.